Did God Really Say That To You...Or Did You Say That To Yourself? I am back with some of my nuggets of wisdom from God's word. A disclaimer; I don't know as much as I would like to but I like to share some of my findings. Of the word of God, that is. King Josiah in the bible is famously known as the youngest king of Judah. Actually, the youngest king ever. I doubt any one would ever make an eight year old king. But that was not all he was about. He was phenomenal. Just before his reign, many of the previous kings had a hard time setting standards. Some others, were plainly evil. They worshiped all sorts of gods, bowed down to poles, one of them literally put his own son inside fire. Vile, I know. They did the very things God forbade their ancestors from doing. However, you know God and his sense of humor. He let them be. Other kings weren't as wicked; they served God and weren't as vile. But they did nothing about the gods and the atrocities the people were committing. They turned a deaf ear. See no evil. Hear no evil. "...You were sorry and humbled yourself before the Lord when you heard what I said against this city and it's people—that this land would be cursed and become desolate. You tore your clothing in despair and wept before me in repentance. And I have indeed heard you...So I will not send the promised disaster until after you have died and been buried in PEACE. You will not see the disaster I am going to bring on this city." Josiah called everyone and read the laws out to them, insisting that everyone MUST do as it said. He instructed the priests to do away with foreign gods and he severely punished idolatrous priests. I don't know what it was like in that generation. But this current generation? Standing out and standing for something is HARD. Setting standards is HARD. If you doubt me, go on Twitter and post something like 'fornication is wrong'. Sit back and watch your mentions blow with insults about your backwardness. My point? It wasn't just Josiah's actions that inspired me but his ability to stand out and take a stand at such a young age. He made this reforms at about 18 or 16 years after he became king so he certainly was in his twenties—my generation. Now, you may argue that he is king and had the veto power. I disagree. Being king/ruler, you need the people to be on your side. I know at least two kings of Judah and Israel that were murdered by their own officials. So you see, it was about choosing right over wrong. After demolishing all of these structures and setting things in place, imagine my surprise and frustration when few verses later, Josiah was brutally murdered by a King of Egypt. I WAS LIVID. I was frustrated and disappointed. 'No way!' I thought. Not the good one. Why Lord? I questioned God over someone that died thousands of years ago. Why does it always seem like the odds are stacked against good people? 'You promised, God!' You promised a peaceful death not a gruesome murder by an enemy. Of all people! Many of those past wicked and vile kings lived and reigned for quite a while, so why Josiah? I felt like I was missing something. Most of the time, I tell myself that we only see a fraction of what God sees. Hence, the very many un-explainable things. But, not this. There was no way I could let this be. These are things atheist even wonder and when they ask, should one not know anything about the God one serves? I remember when my Course Adviser in University always asked me, "Olawole, explain this your God to me. What kind of a God kills his only child for people he doesn't know?" Even though, I was just as much of a christian as I am now, I never knew how to answer. Perhaps, my expression always screamed confusion whenever he asked, because somehow he never stopped asking. ugh. Dr.Y! I do have an answer now though but I have since lost contact with him. Anyway, so I wasn't just going to take this Josiah situation as one of those things. I started my research and found out there was another book entirely explaining Josiah's situation. I found out God did not go back on his words, he never would. Josiah was the one who faulted. But no, my guy insisted on going. He would not listen to what that man said. Why do you think he did this? He thought he had become invincible. Pride was beginning to set in. And perhaps, because he was so sure about having God's backing, he thought he could conquer it all. He had prophets he could have consulted to ask if truly God had sent Neco on that mission but he didn't. Neither did he consult God himself on whether he should go. That was how he was murdered. He would have eventually died, yes. Because the goal was to keep him from seeing the disasters that was to befall the city. Perhaps, Josiah must have thought he could not be hurt or killed or worse, he could be as reckless as he deemed fit. That is the only explanation for such stubbornness despite the fact that he was NOT to go to battle with Neco. God's promise and prophecy was fulfilled, in that Josiah did not die in a time of war in the city. I think this mostly relates with us today because of how Josiah took God's words and promises. He interpreted the words incorrectly to mean some sort of shield and deliberately sought for trouble. We all treat God's word like that; WE FIND SOME PROMISES OF GOD IN THE BIBLE THAT WE BELIEVE MAY APPLY TO OUR SITUATION AND WE TAKE RISKS ON SUCH PROMISES. Even though those were not God's words to us. I believe we should pray with the word of God and claim everything good about it. But sometimes, when God has not promised us something or spoken a word about a situation to us, we become very disappointed when we don't get that thing we asked for. We are angry because we think God didn't answer that prayer or didn't fulfill that promise. I believe Pastor Poju called the exact promise God gives to us a Rhema. It is a different thing entirely, however to genuinely seek God's face for something and hope/believe/have faith that we will get it. But to cling to a word and say God told us that word/Rhema when he did not, is merely setting ourselves up for disappointment. During my research, I read an analysis. The aforementioned situation was likened to missionaries who go to mission fields without adequate preparation. They defend their actions by quoting "Provide neither gold nor silver nor copper in your money-belts, nor bag for your journey, nor two tunics, nor sandles, nor staffs; for a worker is worthy of his food." Believing those verses to be an assurance of God's provision, they go out without preparing. Meanwhile, the same bible later said Christ rescinded that command by adding, "And He said to them, ‘When I sent you without money bag, sack, and sandals, did you lack anything?’ So they said, ‘Nothing.’ Then He said to them, ‘But now, he who has a money bag, let him take it, and likewise a sack; and he who has no sword, let him sell his garment and buy one." Just like Josiah, such missionaries think they have a 'get-out-of-planning-free' power up (as the writer put it). And just like Josiah again, some of such missionaries end up being ultimately disappointment when things start to go south. So no, God did not alter his words, in fact such people didn't pay enough attention to the word. Just so we know, faith without works is dead! So, instead of forcing God to fulfill a promise he never made, why don't you just humble yourself before him and ask. "Never before had there been a king like Josiah, who turned to the Lord with all his heart and soul and strength, obeying all the laws of Moses. And there has never been a king like him since..." He was compared to David and even Solomon, beat that! However, he, like many of us had faults and misapplied God's words. It's the same way everybody embraces the first part of Deuteronomy 28, which is filled with unbelievably amazing blessings. But, we somehow ignore the rest of the chapter which is also filled with unbelievably disastrous curses. We forget there is a caveat for those blessings. We need to understand the interpretation of God's words and to seek him and his will before making rash decisions. So we can avoid devastating consequences. P.s; you have to forgive me for how lengthy this post was. If you read it to the end, you are the real MVP. Lol! I just learnt that slang, I plan on abusing it. A very long one indeed :D - You have touched on a vital issue esp concerning our walk with christ... I am not a perfect christain and each day I desire to have a better walk with him. I know a part in the bible condemns those that say what he hasn't laid on the hearts. My Question - Can God speak to one out of the blues ( i.e to a unrepentant sinner) , 2. Is it only while studying his word that he gets to speak to us ? 3. Aw do one discern between the voice of God and the flesh. Your first question seems like two different questions or maybe they are embedded in one? Anyway, "Can God speak to one out of the blues?" Yes, I suppose he definitely can. From what I know, there are no set rules concerning when or where he can speak with one. It is usually on his own terms. "Can he speak to an unrepentant sinner?" Maybe this would have been an easier question if you just said 'sinner' and not 'unrepentant sinner' because the difference is that the latter has refused to ask for mercy and maybe quite deliberately. It may be hard for an unrepentant sinner to 'recognize' God's voice. Otherwise, like I said above, it's on God's terms. He can speak to whomever he deems fit. Saul/Paul in the Bible was persecuting Christians when he had a divine encounter. So, I am a bit skeptical about the unrepentant sinner. But if I must give an answer, it would be Yes. "Is it only while studying his word that he gets to speak to us?" No, he can speak to us anytime. But studying his word is a very divine thing. So, a lot of times, I believe while studying God's word, he drops things into our hearts. I think I should also add that, we shouldn't take 'God speaking to us' so literally. I don't think we have to particularly hear a voice saying something to us. It's best to be open minded about such things. It is sometimes in the seemingly little things. "How do we discern between the voice of God and the flesh?" This one is a huge one. It is a gradual process. Honestly, I don't think I should answer the question (lol) because like I explained earlier I don't take it quite literally; you know hearing a voice like thunders calling my name and giving me instructions. Lol. But basically, it's almost like telling the difference between good and bad. The more you study God's word, the more you know about him. The more you know about him, the easier (I think) it is to obey him. Now, I always make a joke about my earthly father's (My Dad) voice. I believe if a million people are speaking to me at the same time, I would NOT have a hard time distinguishing my Dad's voice. That's just it. I can't explain why but it is just it. I don't know if I made sense. Besides, when not sure about something, the Bible offers quite a lot of answers. Which makes it a starting point or a manual or a reference book. Sometimes, starting to trust God in the tiniest decisions like what to wear helps. More importantly, just ask God directly about wanting to make wise decisions and do his will. It's also wise to always check back in his words and perhaps seek wise counsel too. I learned a lot about the life and death of King Josiah. An example was how certain predictions were made about him by an unnamed "man of God" three hundred years before he was born! The predictions were about his birth. That he would destroy the altar at Bethel along with some priests. And that he would spare the grave of the same unnamed "man of God" who predicted his birth and these other stuff. All of these predictions took place three hundred years later…that was awesome! Another thing I came away with in the study of this king was that God would never think or operate like mere mortals. King Josiah should have learned from the embarrassment suffered by prophet Isaiah much earlier. God sent him to tell King Hezekiah that he (the king) would die. As Isaiah left, the king cried like a baby before God. And trust God…He changed His mind…just like that. Isaiah (who had earlier felt special) had barely left the city when God told him to go right back and tell the king that his prayer was heard. 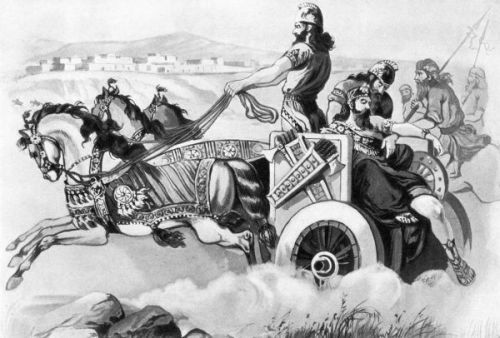 Not only would He (God) add fifteen years to Hezekiah’s life, but would also deliver him, and the city, out of the hand of the king of Assyria. And when Isaiah was about feeling “somehow”, God told him to “chill” because He God could “do and undo”, period! This is something many pastors of today keep forgetting each they get carried away by their “super power and fame”. Finally, the issue of faith has now been so bastardized that almost every “man of God” wants their congregants to go about life without making plans for the future. Instead of planning for the future, a Christian is expected to simply go into “fasting and prayers” during which they will ask God to fulfill a promise He has not made in the first place! Do they think God is stupid? Yes! Re the prophecy coming to pass three hundred years later. Amazing. Hmm, I know your stand on the faith issue. hehe. But then again, being realistic and having faith are mutually exclusive. Aren't they? First timer here. I'm neither a Christian nor of any religion. Remove that atheist thought from your mind!! Atheism is a religion. I am spiritually inclined to worshipping God. I think the pitfall of religious people irrespective of their following is this stereotypical adoption of the ''good'' portions of their guiding books. For every negative and positive actions, they will always find a portion to justify them. Man was supposed to eat from his sweat, but now we live under the fed illusion of ''I claim'' Perhaps Josiah was a victim of that illusion. I believe your blog will truly make even some preachers blush, because i have known many who are not in the calibre of the relationship Josiah had with God YET they assumed to follow "what God should have said" instead of DOING what God actually says. Dispatch from Guinea: Containing Ebola. The Many Faces Of Sexual Assault; Let's Discuss. Truth Is Like A Pineapple.